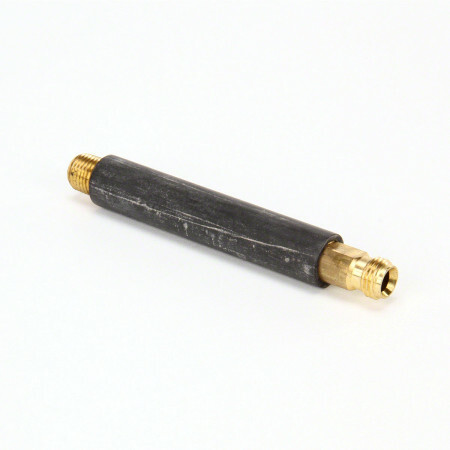 This valve handle is of brass construction and includes a rubber covering. 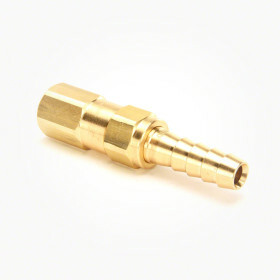 TeeJet offers a wide variety of models to complete the general assembly for spray guns. 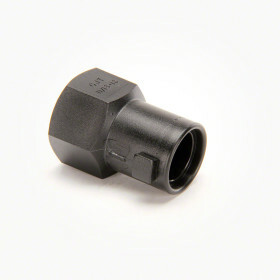 This assembly is composed of a valve, handle, swivel body with an extention, and a cap with flat spray tip. 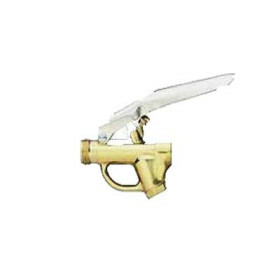 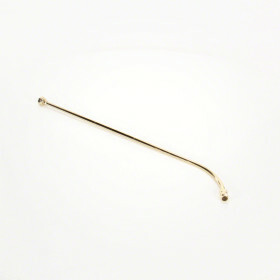 These parts are generally composed of brass and include a range of sizes (specified under "Features") to accomodate all types of spraying needs.